Dallas Personal Trainer - One of the most important and useful exercises out of all of the thousands of possible resistance training exercises and yet somehow overlooked by thousands of personal trainers in Dallas and throughout the US. This exercise works the entire body in a very functional manner and if performed properly, it can produce leg strength, definition, endurance, core strength, flexibility (in the hips, legs, and spine), improve posture, and increase heart and lung strength. Its hard to say enough good about this exercise. However, this the form of this exercise is difficult to master at first and it would be best to make sure that you have mastered proper Hack Squats before attempting Back Squats, or at least have a knowledgeable Dallas personal trainer assist you the first few times on this exercise to insure that you are performing it correctly and safely. 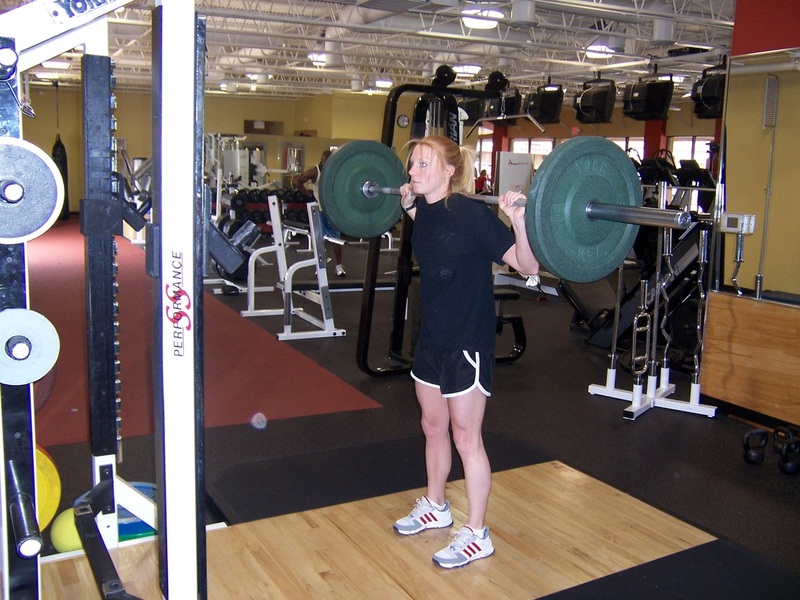 Load a bar on the squat rack just below shoulder height. Put your hands at a grip 4-10 inches outside shoulder width, depending on what is comfortable for you. Make sure that your hands are evenly placed on the bar and then stick your head under the center of the bar and let it rest across the back of your shoulders. Stand up to lift the bar off of the rack and step back from the rack. While keeping your head up, squat down as low as possible, keeping your weight firmly planted on your heels. The goal is to squat down until the top of your thighs are parallel with the floor and then push your feet firmly into the floor to press the weight back up. Make sure that you create tight abdominal pressure (brace as though someone is about to punch you in the stomach) at the bottom of the movement as your press yourself back upward. This abdominal pressure will give you added strength and will stabilize your spine. If you squat all the way to where your thighs are parallel with the floor, your hips will be slightly lower than your knees at the bottom of the movement. It will take time, practice, and stretching for many people to get to where they can squat all the way to parallel, but for best results it is very important that you learn to do so. Whether you want to burn fat, build muscle, or gain strength, this exercise is absolutely one of the very best. It works your entire body and is very challenging if you are truly pushing yourself and squatting all the way down.